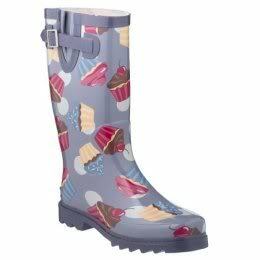 Five years ago I was so excited to get a great pair of purple rainboots with cupcakes all over them from Target online. My boots have served me well through many pacific northwest rainy seasons, muddy corn mazes, and puddle jumping. Recently, though, I realized my beloved rainboots were done in. The rubber was just too old and was starting to crack in a lot of places. 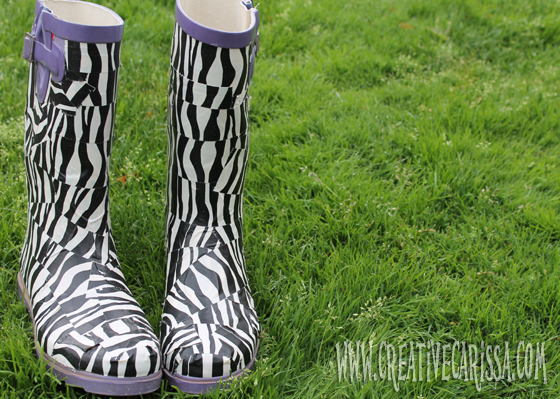 When your rainboots are no longer rain proof, that's a problem! 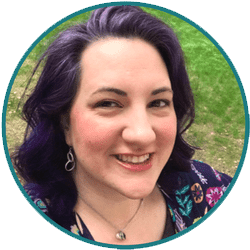 I'd been trying to scope out some new rainboots but due to my feet of very large size in combination with my budget of very small size- it had proven to be a tad difficult to find something that would work for me. 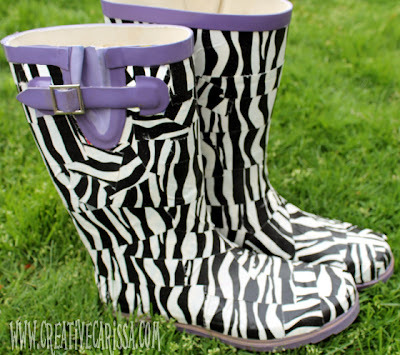 I'd considered trying to repair my boots with pretty duct tape but didn't want to spend the money on two rolls of patterned duct tape only to find out that it wouldn't work - then I'd have even less to spend on new rainboots! I was so excited to be picking some garden things at my local dollar store when I saw that they were carrying small rolls of patterned duct tape. I figured a $3 risk was a risk worth taking! I grabbed 3 rolls of zebra print duct tape and spent about 45 minutes waterproofing and snazzifying my old boots. This should go without saying but: Start with clean boots. Tape sticks better to clean boots and will make them more waterproof. 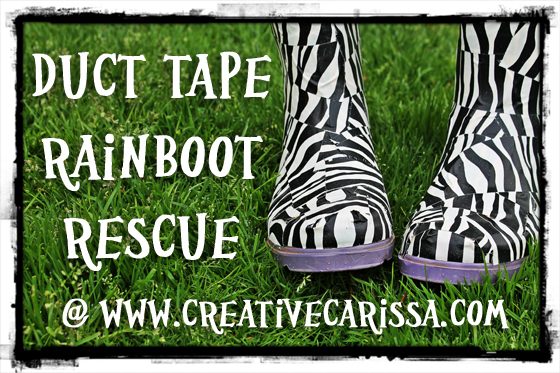 If you're using patterned duct tape, over estimate how much you'll use and buy accordingly. I ended up needing close to 30 yards for mine (3 dollar store rolls). Use the good stuff underneath. Use high quality tape (silver duct tape is fine) you already have on hand to patch holes and reinforce weak areas or seams first. The pretty stuff will cover it up anyway. If your existing trim is in good shape, don't cover it up. Work around it and use it as your guide (like I did with the purple parts in my photos). Work in pieces. Tear off strips and layer them in different directions. Don't try to wrap the tape around in a continuous piece. In the end, it's kind of like paying $3 for a new pair of boots! Plus now the old ones didn't have to take up space in a land fill. Fantastic!!! I found you via google, (my wellies have a huge crack) but I love your blog. I love creative green solutions. (Visit my blog Olivia Cleans Green.) I'll be back to poke around some more soon. I'll be back again, as I love creative, green living. 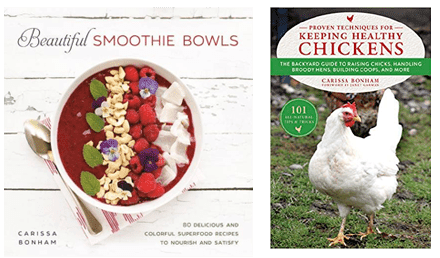 Check out my blog: Olivia Cleans Green. How did this Duct Tape boot repair hold up over time? I would like to do this for my son's boots and need to know if I should start looking for a replacement pair also before it becomes an emergency. Thanks! I did this a few years ago but if I remember correctly, I kept them for the rest of the season and then bought a new pair mostly because the duct tape was not as flexible as the rubber and it was starting to feel too snug on my feet.